I am a resident of Begurhobli village living in Dream Paradise Layout adjoining the lake Basapura Kere 1. ‘Basapura Kere 1’ is subject to abuse for the past 5-6 years by apartments nearby. 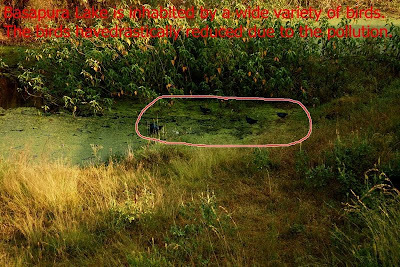 It was earlier a habitable lake for fish and wide species of birds. Unfortunately some of the neighboring builders are insensitive enough to treat the lake as a sewage dump. Illegal pipelines are being laid direct to the lake to send sewage (untreated) from respective apartment complexes to the lake. Off late a new 40 apartment complex "Balaji Ruby" is constructed and ready for occupation with all approvals. 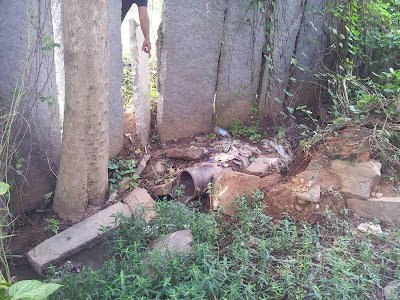 The builder has not installed an STP and has directly connected the sewage to Basapura Lake via underground pipeline (around 300 Meters). We have been pursuing the issue with BBMP since March, but no action is taken till date. We reported the issue to LDA and LDA CEO has written to BBMP Commisioner last month, but no action is initiated. Please see the letter attached. Residents are eager that action needs to be taken on Balaji Ruby, before it is occupied. We have earlier reported Barvika Residency for the same violation to all departments ie LDA, BBMP and PCB, but no action is taken. we are in touch with BBMP Engineer (Prakash) and LDA Engineer (Nagraj) who assure action will be taken, but from our prior experience we have little confidence. We request the group members to take Basapura Lake issues with priority. Baspaura Residents want the following actions to be taken. 1. Do not allow any new apartments to connect untreated sewage to lake. 2. Existing apartments not having STP must be notified of punitive action if an STP is not installed within a defined timeframe. It should be noted that the apartments are approved as per BBMP norms where STP is mandatory. 3. Apartments with STP installed should properly maintain the STP. It should be noted apartments with STP already installed are not treating sewage to save electricity and maintenance costs. PLEASE ADVICE US ON THE ACTION PLAN AND LET US KNOW HOW THE GROUP WILL SUPPORT THIS CAUSE. WE REQUEST INFLUENTIAL MEMBERS IN THIS GROUP TO TALK TO CONCERNED AUTHORITES ON THE BASAPURA LAKE ISSUES. Letter to BBMP in March 2012. To, Date March 02, 2012. This is to bring to your notice the violation of norms by Balaji Rubya 40 apartment housing complex that is currently being constructed on Basapura Main Road, Begur Hobli Village, in ward 198. The builder claims to have his construction BBMP approved, however he is not constructing a Sewage Treatment Facility, but instead claims that he will leave the sewage directly into the adjoining lake ‘Basapura Kere 1’ which comes under Lake Development authority. The Lake currently works as a rain water harvesting facility, and supports a wide number of bird species, however blatant violation of BBMP norms combined with lack of apathy from concerned authorities is rendering the lake polluted due to the enormous sewage being deposited on a regular basis. The bird population has dwindled and fisherman who used to fish in the lake earlier have now stopped doing so. The most alarming aspect for residents nearby is that the ground water is getting polluted gradually. Bore wells adjoining the lake which earlier supplied fresh drinkable water, are now unusable due to discolored water with a sewage stench. There is a strong feeling among the locals that untreated sewage supply to the lake should be stopped immediately and BBMP should be strict in enforcing its norms under which the constructions are approved. We kindly request the higher ranking BBMP officials to visit the lake and gaze the extent of the problem faced by locals due to systematic destruction of freshwater in the lake. We also kindly request the authorities to ensure BBMP norms are followed by builders for which there are approved by BBMP.